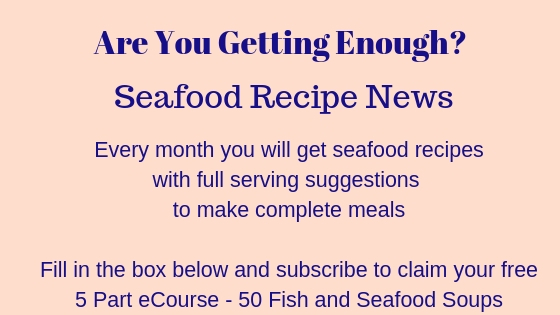 Try a mixture of any firm white fish and shellfish such as whiting, cod, haddock, cooked shrimp and mussels. I would always use mussels and prawns, but the other fish I chose would depend on what looked good on the day. Avoid oily fish such as salmon, mackerel, fresh tuna, sardines etc - they tend to make a soup a bit greasy and are best avoided. Clean and cut the fish into quite substantial pieces - not too small. Heat about 3 or 4 tbspns of olive oil in a heavy based pan and fry the onions and garlic until softened. Add the celery and potatoes and fry for a further 2 minutes. Add the tomato juice, herbs and orange peel and cook for about 5 minutes. 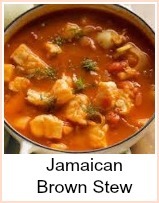 Add the mixed fish but not any shrimp you might be using and cook for a further 5 minutes. Whilst you are doing this, put the wine in a pan and add the mussels - steam until they open. Add the mussels, their juices and shrimp to the soup and heat through. Pour into individual bowls and add a blob of cream and some fresh parsley. 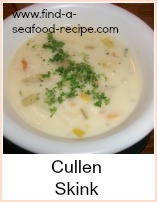 Serve with crusty bread, garlic bread or croutons. This recipe serves about 8 people as a starter or 4 for lunch. 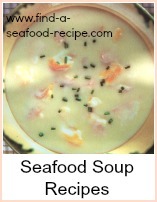 You can prepare this in advance up to steaming the mussels and adding the shrimp. 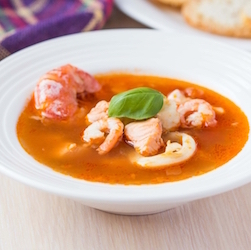 This Bouillabaisse recipe is versatile and can be done with a mixture of any firm white fish and shellfish such as whiting, cod, haddock, cooked shrimp and mussels.